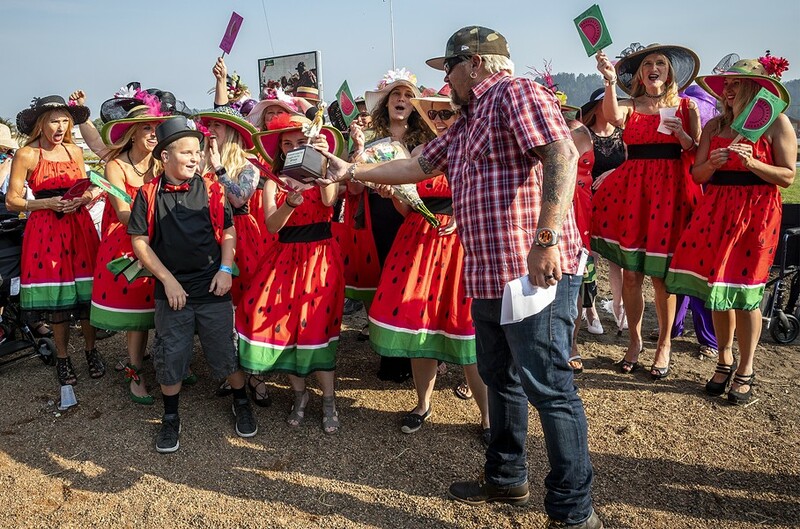 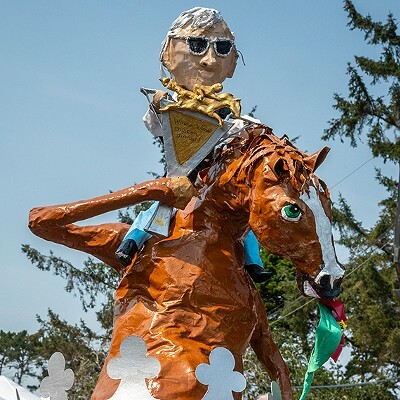 Ferndale native son Guy Fieri was on hand Saturday to present the Grand Prize and trophy to team "A Slice of Family, Friendshp and Fun at the Races." 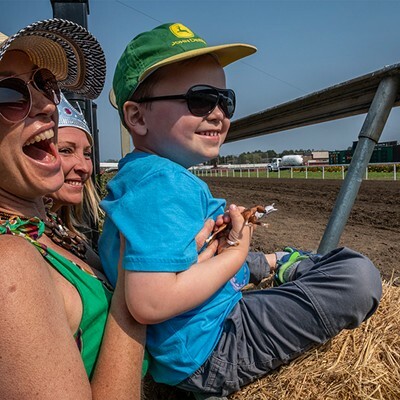 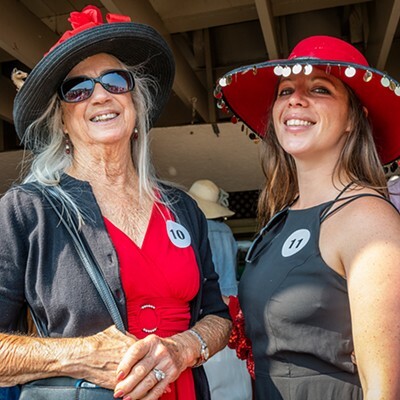 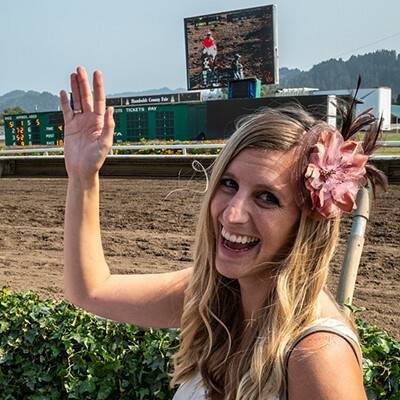 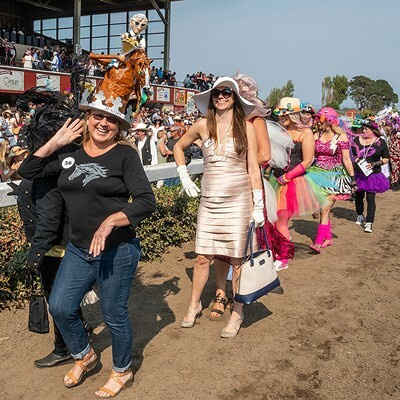 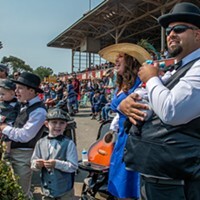 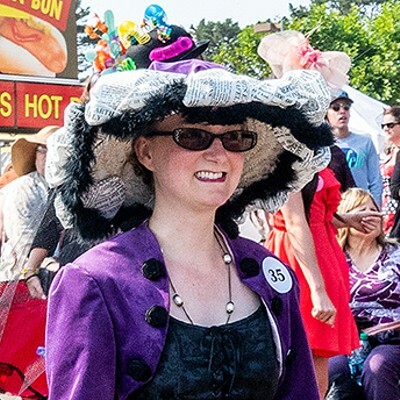 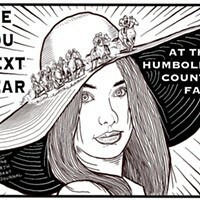 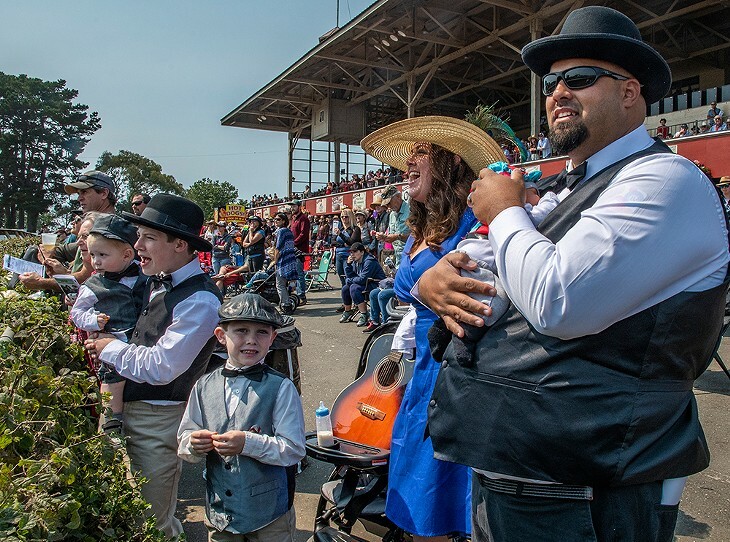 The seventh annual Ladies Hat Day at the Races at the Humboldt County Fair on Saturday attracted more than 100 glamorous, outrageous and funny competitors for some big prizes for their hat creations. 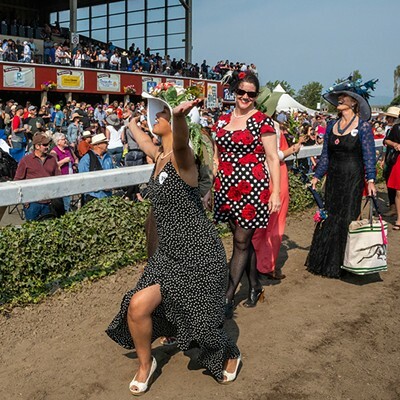 See some of the feats of fashion in the slideshow below. 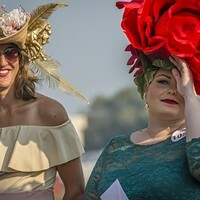 Ladies Hat Day "Hatagories" included Most Glamorous, Best Racing Theme, Funniest or Most Outrageous, and Best Couple or Group. 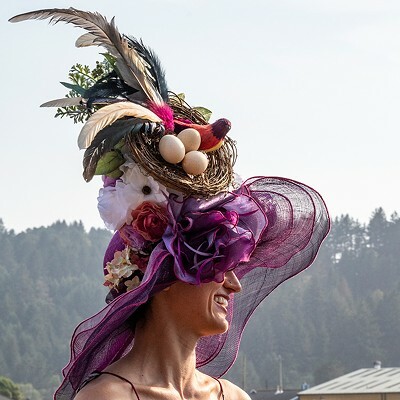 A Grand Prize winner and Runner Up were chosen from any of the four "Hatagories." 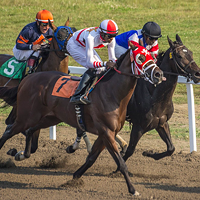 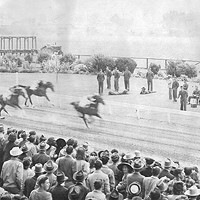 Participants paraded on the dirt race track for the judges after the fifth race and prizes were awarded after the sixth race.